Thursday September 13, 2018 - President Uhuru Kenyatta has announced the merging of the Kenya Police Service and the Administration Police into General Duty Police officers under the command of the Inspector General of Police. The President did this during the launch of a policy framework and strategy for reorganising the National Police Service. Speaking at the event, he said that the move is aimed at eliminating waste, duplication and overlap of duties. 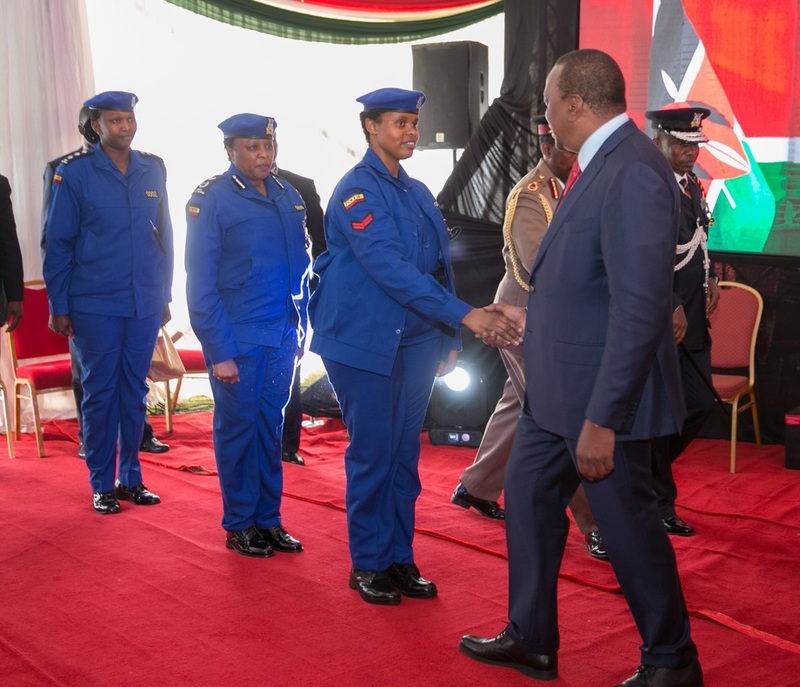 The 39,680 Kenya Police Service and 24,572 Administration Police will now form a single force totalling 64,252 officers with Uhuru saying this will result in better security for Kenyans. The General Duty Police officers will now also be symbolised by a joint pass out parade and a new uniform. It now remains to see how the police themselves will take Uhuru’s new move considering that they have had issues among themselves in the past. they guy is all blue even his flag is blue.